2003's "What's Wrong With This Picture?" had seen Van Morrison recording on the legendary jazz label Blue Note, although it turned out to be far more of a blues album, to be honest. This new album, from 2005, saw him exploring his jazzy side once more, although, as usual, the blues and soul are never far away. In many ways, though, this is a far jazzier album than the previous one. It is one of the most jazz-orientated albums he has done. "Stranded" is a beautiful song to open with, enhanced by Van's saxophone and soulful vocal plus some lovely piano. "Celtic New Year" is a soul-influenced number that has strong echoes of Morrison's "Beautiful Vision" material from 1982. I had forgotten just what a lovely track this was. Now, for quite a few tracks we are going to go all jazz, very much so. More so than ever before. "Keep Mediocrity At Bay" is a jaunty, jazzy number that sees Van griping about mediocrity over a harmonica and excellent jazz guitar backing. "Evening Train" is great, a frantic beat and packed with big, rumbling bass lines and wailing saxophone. Great stuff. 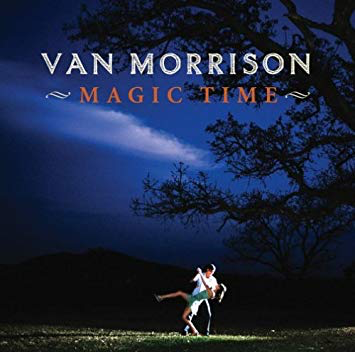 "This Love Of Mine" is jazzier than anything on the previous album - all stand up bass, tenor saxophone and an authentic-sounding lively jazz vocal from Morrison. "I'm Confessin'" has jazz meeting the blues in a perfect merging of styles. It sounds very fifties and features more sumptuous jazz guitar, something that didn't feature so much before, and some great trumpet too. "Just Like Greta" starts in "Madame George"/"Listen To The Lion" acoustic style, before Van starts going all introspective and self-examinational, telling us he "needs solitude...", just like Greta Garbo.... We know, Van, you have been telling us for several albums now, but, it has to be said, you tell it so well. "Gypsy In My Soul" is an intoxicatingly rhythmic bluesy number. "Lonely And Blue" is another bassy, blues/jazz ballad, while "The Lion This Time" is a mystical revisiting of "Listen To The Lion", with some classical string passages. A bit like the original, however, it goes on just a bit too too long. "Magic Time" is a typical piece of Van Morrison "take me back" soulful nostalgia at which he is the absolute master. The song as a lovely, relaxing, organ-powered feel. There is some superb harmonica from Van and yet more wonderful guitar from David "Foggy" Little who tragically died soon after recording the album (which is dedicated to him). Did you think Van would let the whole album go by without a moan about the evils of the music industry? Of course not. "They Sold Me Out" is self-explanatory as to how he is feeling. It is lyrically bilious, but, as usual, it is soulful and addictive. "They sold me out for a few shekels more and divided up my robes...". Is Morrison comparing himself to Jesus Christ in his suffering? Surely not. He is you know, between the lines, he really is. "Carry On Regardless" has him belly-aching about "TV trash" and "media re-hash" and how is just going to carry on - quoting several "Carry On" films as he does so, amusingly. It has an excellent shuffling beat to it and even more killer guitar. The track ends with Van laughing, would you believe. He must have enjoyed himself. Great album, however, regardless. Carry on Van.